The corollary is that there is a distinctive way of thinking about finance and financial sector development in the Pacific. And it is giving expression to that distinctiveness that I want to explore with you and further develop with you. 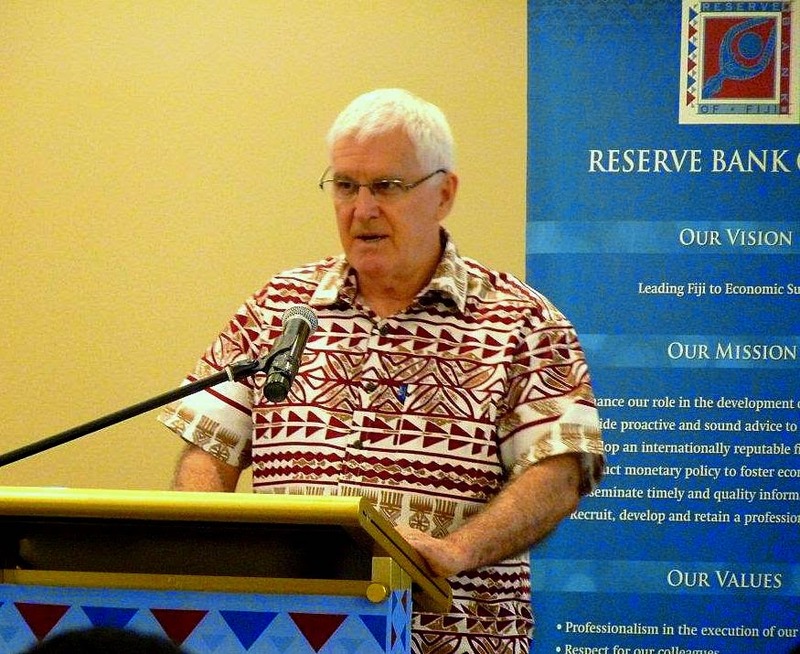 The trajectory of financial sector development in the Pacific will be different to elsewhere in the world. It becomes important then to articulate the likely Pacific trajectory more clearly. More emphasis needs to be placed on regulatory values, as opposed to the activity of regulation. Some awkward truths will have to be confronted, among them the lack of commercial underpinnings for the financial inclusion agenda, the relatively dominant position of provident funds, and the implications of protecting foreign reserve positions. The basic functions of a financial system are essentially the same in all economies. (In Merton’s taxonomy there are 6 basic functions: a payments system for the exchange of goods and services; a mechanism for pooling of funds to undertake large-scale indivisible enterprise; a way to transfer economic resources through time and across geographic regions and industries; a way to manage uncertainty and control risk; price information that helps coordinate decentralized decision-making in various sectors of the economy; and a way to deal with the asymmetric-information and incentive problems when one party to a financial transaction has information that the other party does not). But the most efficient structure for fulfilling the functions changes over time, and differs across geopolitical divisions for a variety of reasons — differences in size, complexity, and available technology, as well as differences in political, cultural, and historical backgrounds. And because the functions of the financial system are far more stable than the identity and structure of the institutions performing them, a functional perspective provides a more reliable and enduring frame of reference than an institutional one, especially in a financial environment characterized by rapid changes. In a later 2004 paper, titled ‘Towards a Synthesis of Function andStructure’, Merton and Zvi Bodie built on the earlier work in an attempt to offer a methodological approach to the implementation of these functions at any point in time. That attempt was a synthesis of orthodox neoclassical theory, new institutional economics, and behavioural economics. Institutionalists, such as my colleague Paul Holden and myself, would have made more of the institutional underpinnings. These are the ‘rules of the game’ as Douglass North described them, and they are critical to the performance of the functions. "I believe that building financial systems in the Pacific is best understood as a ‘synthesis of function, institutions, and structure’." In PSDI we are now working to more fully elaborate that synthesis. Improving institutional frameworks is our bread and butter business and our point of difference to the other forms of assistance you receive — the importance of which I fully acknowledge. It is through the institution building that you get to be yourselves, but at the same time get the benefits from good finance and good economics. Hence, the importance we attach to policy development. That precedes legal and regulatory development. We don’t get involved unless the hard, upfront thinking on the appropriate policy framework for your individual country gets addressed as part of the exercise. That usually means extensive consultation. Merton and Bodie’s approach was also a synthesis of public and private finance; it treated all providers, whatever the ownership structure — government, private, or family based — as potential solutions. Again, people like Paul and myself would argue that private ownership is ultimately a superior option, but the point here is that the task is to find the best way to perform the financial functions for a given place at a given time. But there is not likely to be one best way of providing these functions. I also think that the Pacific offers up another synthesis — one between microfinance and larger conventional providers, for want of a better term. "It is not the size that matters. Rather, it is the linkages between the different scales of providers that matter." What really mattered for Merton and Bodie — what the synthesis had to deliver — was financial innovation, because financial innovation was critical to long-term economic development. Innovation was more important for growth than savings accumulation and capital formation, in their view. This was because innovation increased the channels available for financing economic growth and brought about stronger competition. Innovation was too important, again in their view, to be sacrificed for short term monetary or fiscal policy goals, or to protect foreign reserves. So, the job ahead, then, is about innovation in the performance of the functions of finance. The good news is that the benefits of technological innovation are available to the Pacific at an early stage and new technologies are reshaping the delivery of financial services. The equally good news, which is not really news, is that, as governors, you are ideally placed to introduce innovations across the financial system, including those affecting instruments and structure. To progress the thinking on Pacific financial sector development, the function to put the spotlight on is that of managing risk and uncertainty. Quite simply, there is a mismatch between the risk that exists in Pacific economies and the structures that exist to take on that risk. Sometimes the appropriate structure does not exist, and sometimes structures exist but are unwilling to take on the risk. And sometimes that is because the risk is not at all well understood. That suggests that more thinking is required on structures — providers and instruments —to remove the mismatch, as opposed to, say, starting with the premise that more competition is needed in retail banking, although that is a very important dimension of this exercise. In the time available, I am going to briefly point to several examples where innovation is occurring, or is on offer, to give the flavour of this thinking. There is not time to bring all of this together today, but you will get the idea. First, the innovation of secured transactions reform. It is the dominant form of finance in North America now, and there is no reason why this cannot be the case in the Pacific. It is the ideal instrument for the Pacific because it unlocks the collateral value of movable assets, when the majority of borrowers cannot offer real assets as security. "The burning question is why can a provider like Credit Corp in Solomon Islands increase their loan assets seven fold in around 3 years through using the instrument, while the bigger banks have been slow to embrace the same opportunities?" If the bigger banks are not going to embrace the opportunity then what? There are several possibilities here; more Credit Corps — operating within an appropriate regulatory framework I hasten to add — is an obvious example. The most obvious example, though, has been staring at us in the face for quite a long time — the development banks or development finance institutions. Here, I am talking about the commercial transformation of those entities. What is the objective of that commercial transformation? It is to take on the risk that is not being taken on elsewhere in the system. Unfortunately, the baggage of the past disasters has made it difficult to get traction on this discussion. But the mood is most definitely changing within the development banks and within your central banks. You will each have your own slant on how this structure can be exploited in a way that does not put pressure on the government budget. The application to SMEs cries out to many of you. What is important here is not to think in terms of preserving SMEs, but rather to recognise the importance of this business form to Pacific economies and work to provide pathways, and to finance those pathways, for the growth of individual SMEs. The SME topic will be explored more fully in the next presentation, so I will not go there now. But I think it will bring home this point about structure fitting function, where those structures have embraced the risks involved. Next capital raisings and investment finance. Note I did not say capital markets; function precedes structure. In this discussion, provident funds are demanding our attention, and I also want to highlight the opportunity for innovation that is there to be taken. You will need no convincing on the importance of the provident funds to financial system stability in your countries. Their relative importance in Pacific financial systems has to be confronted, but I do not think that the way to do this is through holding up provident funds as the financial entity to lead bond market development. Certainly bonds are an ideal asset class — one of — for these funds. But the first order of business is to nail down the core function of these funds and then work through the interface with the financial system. That function is to generate a long-term income stream to meet the long-term obligations to contributors. It is not to develop bond markets, but of course they have a role in the development of these markets through the demand for those assets. The exercise that we are developing at PSDI is a comparative study on provident funds, similar to the work my colleagues do on state-owned enterprises through the Finding Balance study that a number of you will be familiar with. The objective is to promote a wider discussion on the issues surrounding the policy frameworks and financial performance of the funds. We have found with the SOE work that this type of exercise is a powerful advocacy tool that you can use to achieve the policy frameworks that you want to get in place, but have been unable to up to now for a variety of reasons. Now, one of those issues is the split between the domestic and foreign investment. You will all relate to this. I am guessing that the adequacy of foreign reserves is one of those issues that keeps you awake at night. My point is this: the discussion on the objective of provident funds, and the implications for the balance sheet structure of the funds, cannot be isolated from the discussion on exchange rate management. By and large, it has been isolated to date. The big opening for innovation in capital raising is in the application of internet-based platforms to raise long-term finance. I am referring to the growth in crowd source funding and peer to peer lending applications here. New Zealand is one of the few countries in the world that have embraced this opportunity and has implemented a regulatory framework. I do not see this as a threat to the existing equity exchanges in the region. On the contrary, it is an opportunity to be taken through building an additional business line to offer the platforms that are needed. "Financial inclusion – a subject that is very important to all of you. But the elephant in the room is the commercial sustainability of that agenda. What happens in the absence of budget support and donor assistance? That question has to be confronted." The innovation I am suggesting is to adapt the way community service obligations have been used in SOE reform. In that case, there is an agreement for providers to provide what are regarded as essential services, but which cannot be provided profitably, and for the services to be funded from the government budget. The provider provides these non-commercial services alongside the commercial services off its own balance sheet. I believe this technique offers an opportunity to solidify the foundations of the financial inclusion agenda. Also important to solidifying the foundations of the financial inclusion agenda is the need to build the linkages between microfinance providers and the rest of the financial system. A few strong providers that can operate off their own balance sheets will emerge over time, but we should not expect that number to be anything but small. The strategy, I believe, is to find a way to allocate the risks that exist in the microfinance sector — and they are significant relative to the sector. One way to do this is to fold microfinance institutions into a bigger provider, a development bank for example. There are various possibilities, but the key is to use the balance sheet strength of the bigger institution to provide the financial strength that the smaller provider needs. In conclusion, the case I am making for the distinctiveness of financial sector development in the Pacific is built around the synthesis of financial function-institutions-and financial structure. Furthermore, the institutional framework is critical to the financial innovation that underpins economic development. As governors, you are well placed to influence that institutional framework through policy, law, and regulation. And it is through the interplay of those institutions that you can express your national identity, while at the same time extracting the benefits of financial sector development and wider economic development. Robert C Merton, ‘A Functional Perspective of Financial Intermediation’ (1995) 24(2) Financial Management, 23–41. Robert C Merton and Zvi Bodie, ‘The Design of Financial Systems: Towards a Synthesis of Function and Structure’ (NBER Working Paper 10620, June 2004).